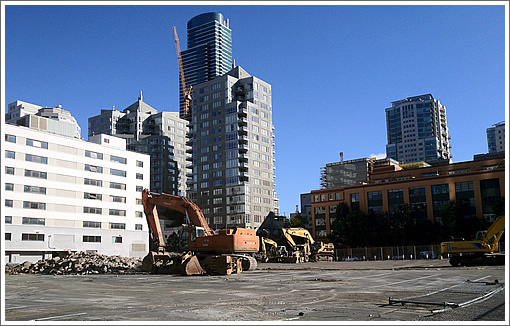 The ground has been broken, another parking lot is being demised, and Tishman Speyer’s twin-towered 201 Folsom Street development of nearly 700 new condos is officially underway. 2 more towers filled with gainfully employed, well-educated, tax-paying citizens. this trend will change the political landscape in SF dramatically for the better. Who’s next? 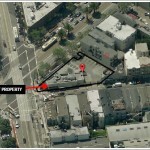 340 Fremont, 399 Fremont? I doubt these towers will be “filled” by anyone. They may well turn out to be collectible condos that outsider millionaires add to their keychains. For example, how filled are Infinity and Millennium today in terms of full-time occupancy? People who don’t live here, don’t regularly spend much money here. They don’t frequent/support local shops & restaurants. They don’t contribute to the neighborhood. More importantly, they also don’t vote here, which explains how people like Chris Daly get elected in the first place. As a full-time Soma resident, I honestly hope I’m wrong. I guess time will tell. I know most everyone on this site would love to see parking cost $100/day for those sorry saps that have to drive a car to work occasionally – they may soon get their way. This lot charged $17/day. My bldg. charges $36/day (which usually occurs after 3 hrs or so. Once those huge towers go in on mission, this lot, etc. the ridiculously short inventory for parking will become 3X as bad. most existing buildings are full w/ monthly renters and won’t nearly cover demand. If you need to be mobile for your job and come downtown for a 3 hour meeting and then need to go to another meeting across town, down the valley, you can’t take public tran. You’ll be paying $50 soon for that 3-4 hour park. I’m sobbing for you wcsf. Sobbing. Honestly, if you need to be mobile for your job, there will always be options, including paying for the privilege. Using car sharing is also an option. Cheap parking in downtown SF is not anything we “need”. Garages filled with monthly parkers will make more spaces available by the hour if it is more profitable. And then more monthly parkers will stop being monthly parkers. While I doubt that these towers will be 100 percent occupied by people who live there full time, I don’t think that they will be empty either. If you look at the Infinity and the Millennium, there are a substantial number of units that are either occupied by people who own them in order to live there full time or who are renting from owners who bought the units as investments. Just three anecdotal examples of people I know who own places in the Infinity: One is an MD, the second guy is in sales for a high-tech company, the third one is a small company entrepreneur. All three are at least middle-aged. Do they own other places in NYC, London, and Paris? No. Then you have the renters. High-tech workers need a place to live whether owning or renting. If you don’t buy, you still have to pay rents that have shot up dramatically in the last few years. Market rents for condos at places like the Infinity and the Millennium are at a premium over the apartment complexes in the area, but it’s essentially a case of “you get what you pay for.” And the regular apartment complexes nearby aren’t exactly dirt cheap. 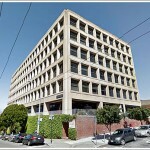 Google’s SF office is right across the street from the Infinity, so why wouldn’t some of the better paid employees consider buying or renting there? Did you know there are over 80 kids who live in the condos at The Infinity? Too bad there are no playgrounds … hopefully we’re not incubating the next unabombers among these kids with few opportunities to socialize and play with others. Though it is stale almost as soon as it is compiled with the rate of development going on, beats throwing darts. As the first commentator highlights, I hope more “gainfully employed, well-educated, tax-paying citizens” changes the political landscape of SF. Too many people have had enough with the “charming” grit of SF. Let’s clean this place up, fix the schools, and make it the leading city it deserves to be. For those who want to wander around pan-handling and occupying prime public park space, a message needs to be sent to get the hell out. Now. That is too bad. You should definitely discuss with your HOA about paying for a playground. Yes, because god forbid all the property taxes these new developments are generating should be used to improve the neighborhood. RH recent transplants should be counting their blessings: sometimes RE crashes leave lone buildings out in the middle of an urban wasteland for many decades. That’s obviously not the case here, with the 2 new “Infinity towers 3 and 4” (let’s call a cat a cat) and ORH phase 2. A park is coming directly across the street from this development — eventually. Not sure how far along the design is for that park. Any chance a playground can be included in it? The park across the street won’t get built until the tranbay terminal is complete in 2017. That’s when the bus terminal will get moved there. A playground is currently being constructed at Sue Bierman Park across the Ferry building scheduled to open next month. If you want motorized transport with cheap parking, I suggest a scooter or smaller displacement motorcycle. I love walking through Rome and seeing the 50-something moms zooming by on scooters. It can be done. Yes, we need more scooters on the freeway… When I come in from the East Bay, I will make sure to leave my H3 at home and take a scooter instead – makes total sense. The reality is that we could never add a single new parking space in SF and we’d be just fine. Some people would certainly find it inconvenient, but the city would not crumble into the sea. This a SF blog. There must be a Walnut Creek blog somewhere for you. Seriously, nobody cares if driving to SF is a pain for you. If anything, it should be made harder. There’s something called BART. Use it. Who cares if a guy from Walnut Creek wastes his time looking for parking. He’ll take BART next time. Speaking of parking, did the parking of this project get reduced below 1:1? That seems to be the trend in this area. Maybe stackers or valet. @lol: you should care – I pay taxes to the city that pay for your precious little bikelanes and the asphalt on which you take your emasculating little scooter. BART? Hahahahaha… I’d rather spend a few hours in traffic getting pumped up by Foster the People. Given such high standards, for the sake of the SF property owners who are readers of this blog, I hope you have no power whatsoever (other than, unfortunately, the power to type). So happy to see these going up, let’s try to squeeze in the gorgeous new 399 Fremont in this bubble too. You pay taxes in SF and yet you live out of town. Win-win for SF. 6PM: Bye now. The bridge is free on the way back so that you can leave faster. btw, wrath, I pay property taxes in 3 time zones including SF. You’re very provincial in your assumptions of other people’s status. @lol: I find your comments, unsurprisingly, unconstructive. They’re both dull and vulgar, which, one might say, is an achievement of sorts. I assumed nothing about your status (I assumed only that you ride a scooter or, perhaps, a funny little moped with a chihuahua strapped (E.T.-like) in the front basket, which, given your views, was, and here, I think you will emphatically agree, a fair and rather accurate assumption). I rush to inform you that, much as you no doubt wish it were so, SF does not in fact have its own timezone. SF is currently part of the Pacific Time Zone which also includes my precious home of Walnut Creek, Modesto, Tracy, Chico and other great cities in California and elsewhere. Quite separate from the above, my guess is that you simply pay sales tax when visiting your aunt in Milwaukee and grandma in Tallahassee (both fine cities nonetheless). I wish there were some monitoring done here to address the unfortunate and, apparently, incorrigible ignorance of several of the posters. When I power up my H3 to go home later, I will spend extra time at each of the stoplights to ponder the sad state of SF denizenry – I hope you will not find the fumes, should they swagger their way into your nostrils, too disagreeable. Wrong. Wrong, and wrong. Don’t quit your day job. Wrath – If you’re really driving an H3, then that’s hilarious. That vehicle screams Little Man Syndrome! My recall is that parking for these two towers was grandfathered at 1:1 and that is what is being built. Can someone confirm? I believe if parking is 1:1, it has to be non-independently accessible. Which means valet. I broke rule #14. Apologies for wrath’s wall of Text. Your moniker is, I believe, “TTBoy”. Heard that there will be three floors of valet parking and no deeded parking. … so I obviously have more power, and personal investment, than you, when it comes to SF. I also know the difference between reality, and opinion, knowledge you seem to lack. Adding parking is a desire of folks like you, but certainly no requirement for SF to continue to be the high demand destination it is today.